Welcome to our 16th IAEG Connector! Next week is our 13th Congress in San Francisco, California — first time in 54 years in the United States! In this newsletter I have mainly highlighted the conference. Below you can download the Abstracts with Program for the meeting — it is the complete schedule for the meeting plus all of the abstracts! Also, you can download a mobile application that has the whole meeting on it. There is a site to go to the congress website and also learn about transportation to the meeting, which is at the Hyatt Regency Hotel in downtown San Francisco. 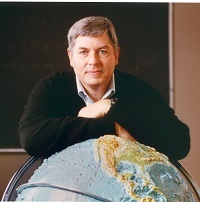 In this newsletter, I have also mentioned an upcoming meeting in my hometown of Portland, Oregon, which will occur on March 17-21, 2019. It is sponsored by our sister society, EEGS (Environmental and Engineering Geophysical Society) and is titled SAGEEP 2019 (Symposium on the Application of Geophysics to Engineering and Environmental Problems). Also, I wanted to publicize a new textbook on engineering geology published by Waveland Press. It is co-authored by Dr. Terry West of Purdue University and Dr. Abdul Shakoor of Kent State University, both in the United States. 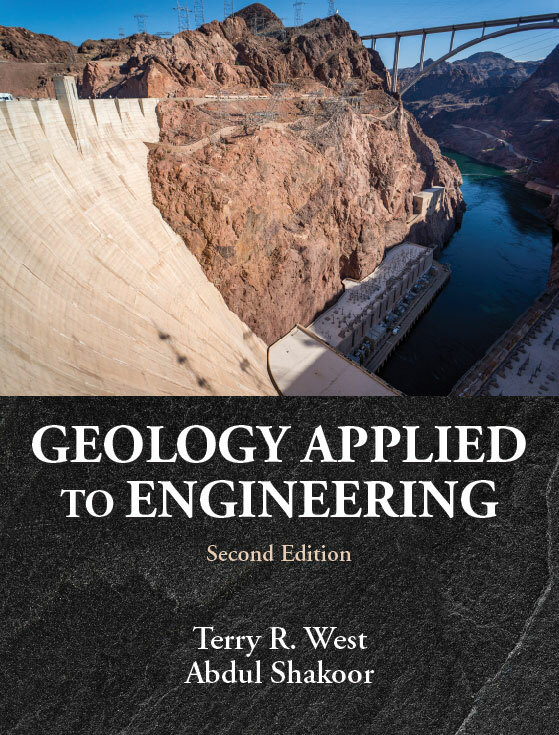 It is titled "Geology Applied to Engineering" and is a new, second edition. Program with abstracts — The program is now available on the website. Click here to access it. We will not be printing the program this year since it almost 300 pages. It will also be available to all attendees with the exception of Guest Registrations on a USB drive in your registration packets. We will be printing just the schedule for each attendee. Guidebook mobile app — Leave the paper behind! The most up-to-date changes and the best way to access all of the details for the Congress is through the Guidebook mobile app. It is easy to use, you can create your personal schedule for the week, access interactive maps, socialize with meeting attendees, vote for your favorite poster for the student competition and more. Click here for download instructions. Saturday, Sept. 15 (Located in the Atrium) - 7 a.m.-5 p.m.
Monday, Sept. 17 - 7 a.m.-5 p.m.
Tuesday, Sept. 18 - 7 a.m.-5 p.m.
Thursday, Sept. 20 - 7 a.m.-5 p.m.
Friday, Sept. 21 - 7 a.m.-5 p.m.
Congress USB drive — All attendees with the exception of Guest Registrations will be receiving the Congress USB drive in their registration packets. Included on this drive is the Program With Abstracts, Springer Full Congress Proceedings, Geology of the Cities of the World Series new additions for San Francisco and Sacramento, all Field Course guidebooks and a Walking Guide to San Francisco.